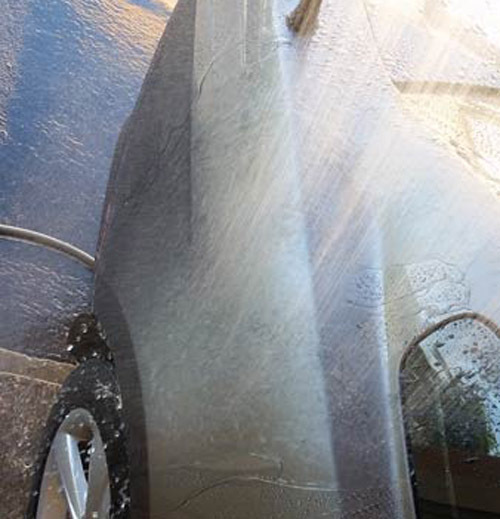 After washing your car, let the water flow heavily over the car. The water will sheet off and it will be much easier to dry as well as help avoid water spots. Recommended: Heavy flowing water will help the excess water dissipate faster, making it easier for drying. 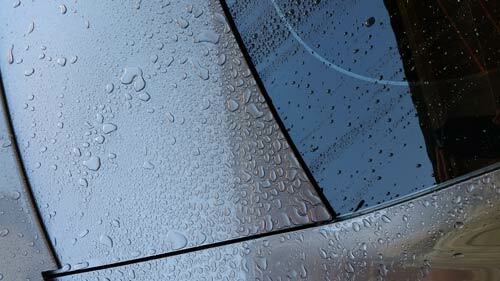 Not recommended: A light final rinse will leave plenty of water droplets to wipe down. If they’re not wiped off fast enough, water spots can result. • Don’t skimp on your wash mitt. If it is getting old or dirty, replace it. The cost of a mitt is not worth the time and labor to remove swirl marks in your paint. 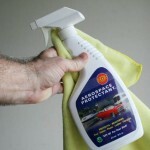 • To avoid swirls, only use quality microfiber towels for cleaning and drying. Never use terrycloth, diapers or t-shirts. Thanks for these tips for washing my car. I feel that there’s something I should be doing to improve the way I clean my car. 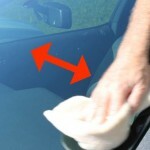 Your tip to use a wash mitt that’s in good condition seems like a great way to improve the quality wash that my car gets. I’ve noticed that using a new mitt makes it easier to remove water marks, so I should do replace the old water mitt I’ve been using for the past year. My husband just bought a corvette and has been driving his dream car nonstop around town. Although he’s been having a lot of fun with it, he definitely wants to make sure that he takes care of it and washes it properly. He has a terrycloth that he uses on our other vehicles, and so I’m glad that you mentioned not to use one of those. I think I’ll go get him some microfiber rags to use on it instead, but which brand would you recommend as being the best?